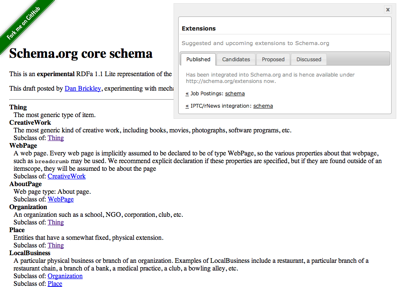 There are a number of Schema.org extensions proposed and partially already accepted. The tool you find here, the Schema.org NavigatorJS allows to explore both the core terms of Schema.org and the extension terms, from within a Web browser, see screen shots below. 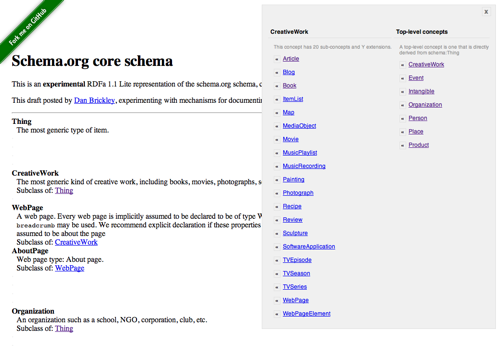 Screen-shot of the Schema.org NavigatorJS in explore mode. Screen-shot of the Schema.org NavigatorJS in extensions mode.